Quantum Mouldings are able to interpret your drawings, either PDF, IGES or a 3DModel. From your drawings a timber, foam or urial block with varying density pattern is produced to replicate the finished product exactly, including surface texture. 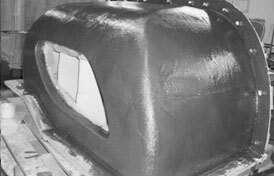 From this, a cost effective GRP production mould is produced to enable the manufacture of finished products. 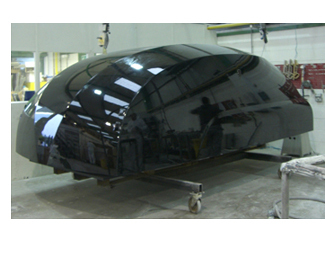 Our in-house ability to produce complex, multi split production moulds with high gloss finish is key. 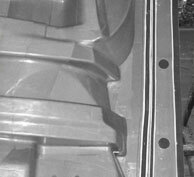 Controlling dimensional accuracy and shape is a result of moulds that are manufactured and structurally supported, to customer requirements equally important is the type and quality of materials employed during mould construction. Our traditional patterns are hand made by skilled craftsmen using timber and foam. This is often a more cost effective solution, particularly on larger patterns, alternatively we work closely with a range of CNC machinists in the event you require higher dimensional accuracy. We also, have the ability to manufacture temporary wooden tooling to produce prototype parts, sometimes with extremely short lead times.